This secenry was created before Orbx and does not play well with it, so you may want to disable Orbx's northern California. In response to the growing crisis in the Pacific, in early December 1941 four Boeing B-17C Flying Fortresses and two new B-17Es of the 30th Bombardment Group were flying cross country from New Orleans, Louisiana stopped at Hamilton on their way to Hickam AAF in Hawaii then on to Clark AAF in the Philippines to reinforce the 19th Bombardment Group stationed there. After leaving Hamilton, and flying all through the night, the bombers arrived over Oahu on the morning of December 7, 1941, and faced an unusual welcome. The B-17s had arrived over Oahu during the Japanese air attack on Hawaii which triggered America's entry into World War II. The B-17C Flying Fortresses arrived at Pearl Harbor at the height of the attack (radar operators mistakenly thought that the Japanese attack force was this flight arriving from California). Some of the planes managed to land at a short fighter strip at Haleiwa, one set down on a golf course, and the remainder landed at Hickam under the strafing of Japanese planes. In addition, twelve B-17Ds of the 5th Bombardment Group were parked on the ground at Hickam AAF during the attack. Five of these B-17s were destroyed, and eight were damaged. The B-17Es of the 7th Bombardment Group were moved back to Hamilton from Utah for deployment to the Far East. Six of them arrived in Hawaii just after the Pearl Harbor attack, but the rest of them were ordered to remain in the United States to defend California and were sent south to Muroc AAF near Rosamond. I would like to invite you to our annual reenactment of the B17 flight from Hamilton AFB San Rafael California to Hickman Air Force Base Honolulu, on December 8, 2018. 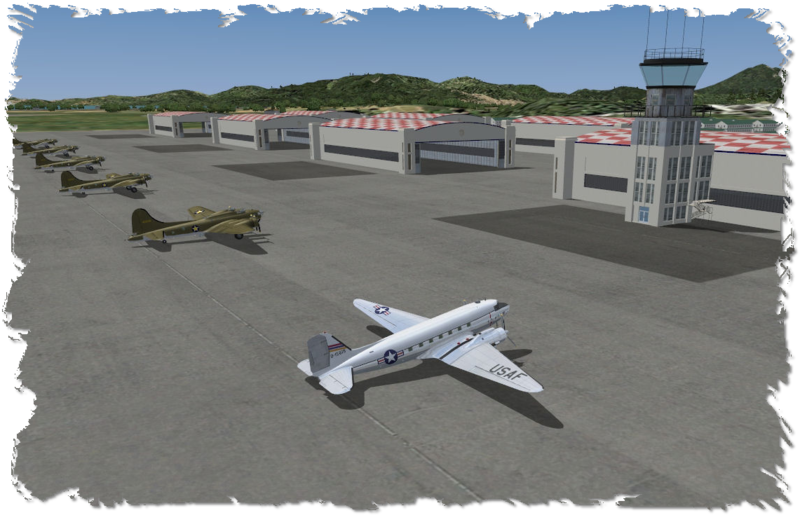 Because December 7th falls on a Friday, we will take off from Hamilton Army Air Field December 8, 2018 arriving at Honolulu on December 9, 2018 at 07:30:00 Hawaii Time, to coincide with the attack on Pearl Harbor December 7 1941 at 07:00:00 Hawaii time. This flight is not for the faint of heart. Those making this flight will be looking at 12 to 14 hours of flight time. We will be using live weather for this flight.